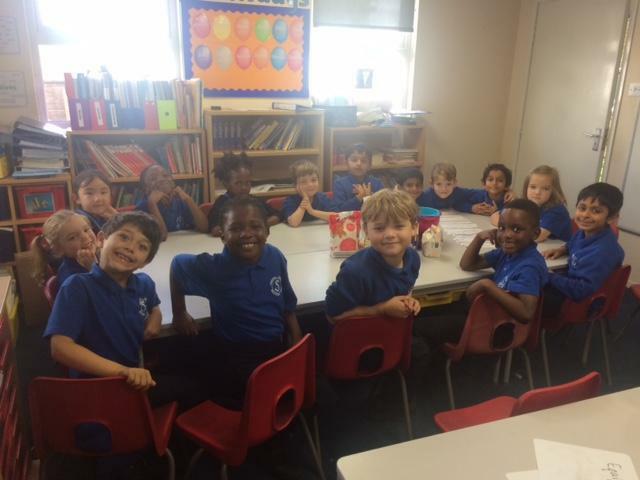 We have been very creative in Class II this week making cushions. 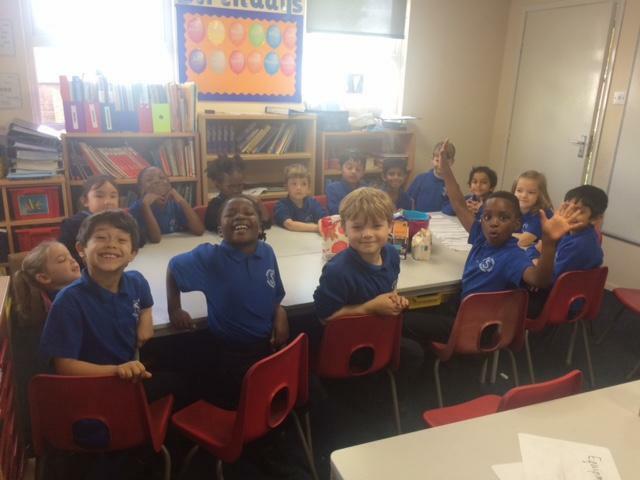 Children designed some fantastic cushions and worked really hard to make them. 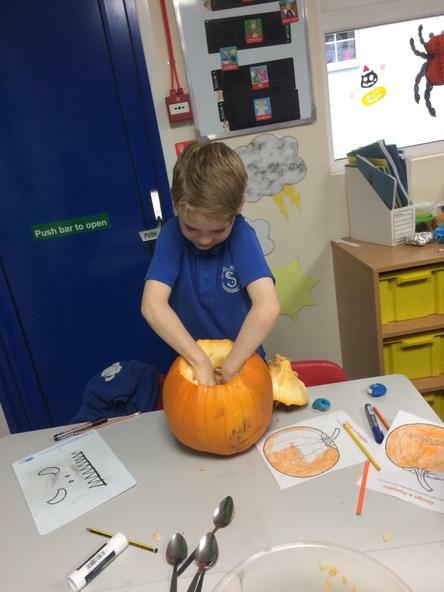 Some of the sewing was very fiddly and difficult but the whole of Class II persevered despite the challenge. 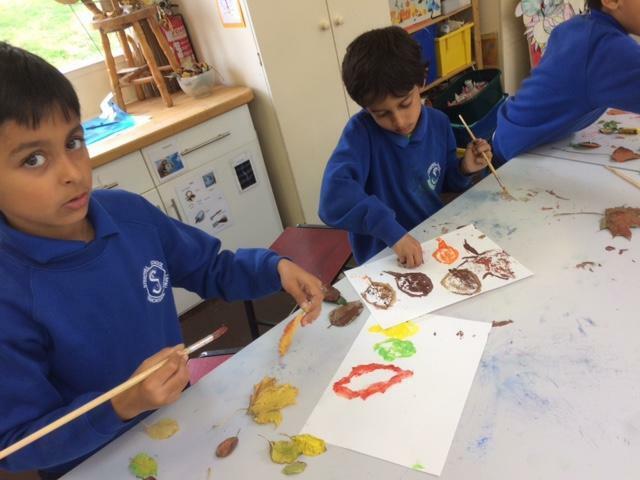 Next week we will evaluate the cushions as part of our DT project. 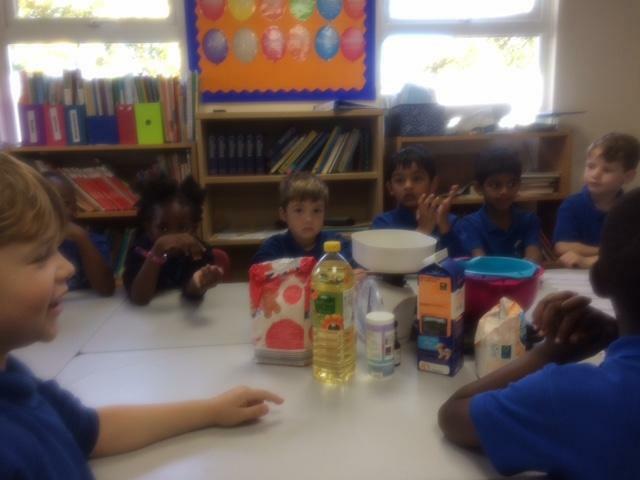 I was so impressed with all the creations that next week we will be enjoying a class treat. 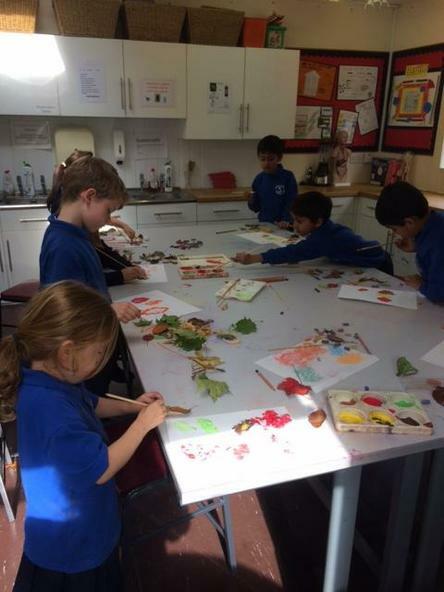 It was fantastic to see Class II working so hard together, you should all be very proud of your creations. 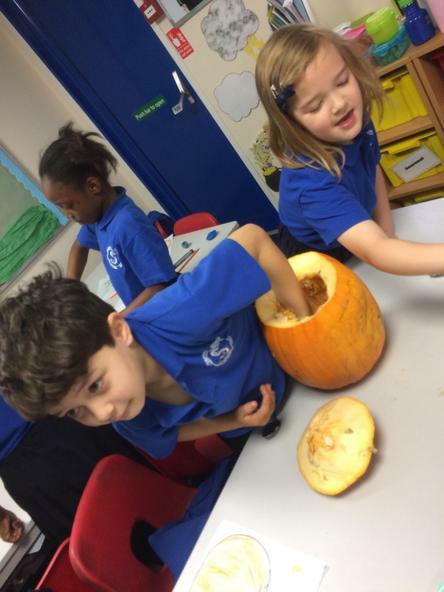 Don't they look fantastic? 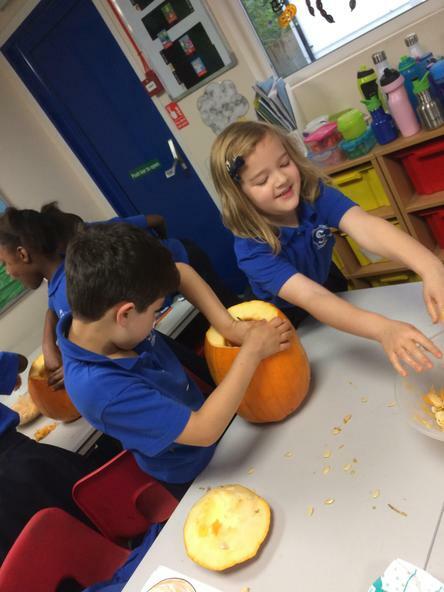 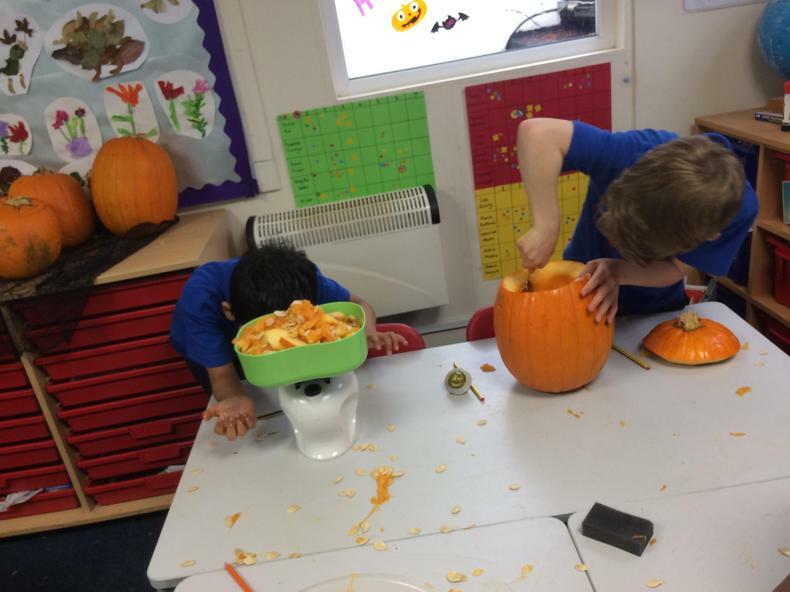 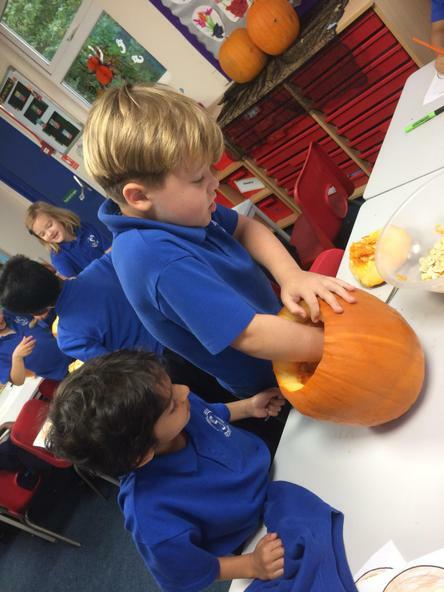 As it's Halloween this week, we thought that we would carve some pumpkins in Class II. 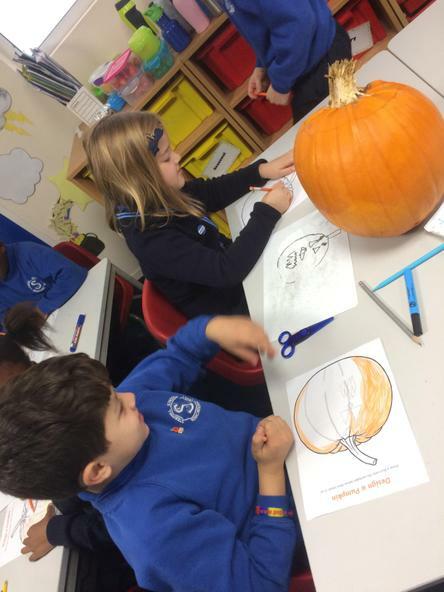 Children worked in pairs to design a face which they then drew onto their pumpkins. 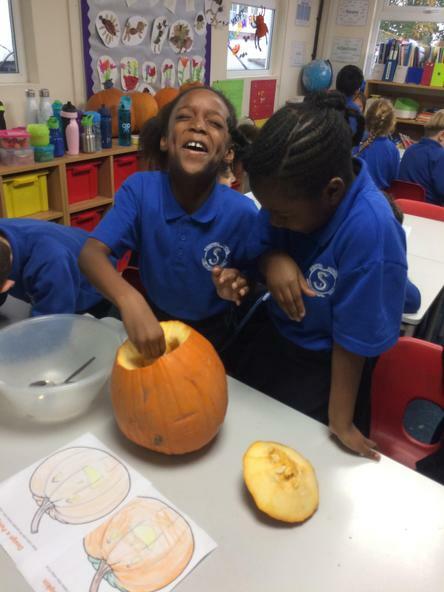 We all enjoyed removing the squishy pulp from the pumpkins- have a look at some of the funny faces we pulled as we first put our hands into the pumpkins!!!! 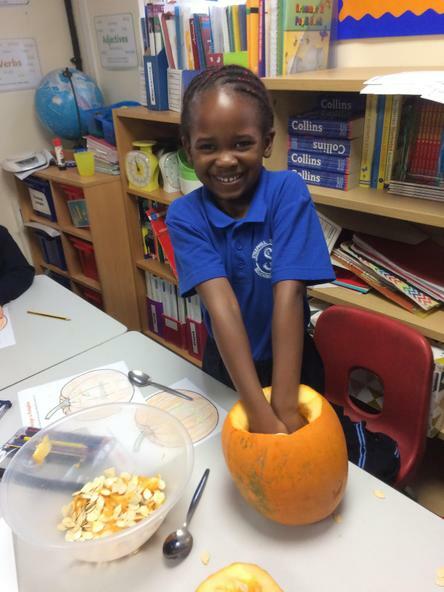 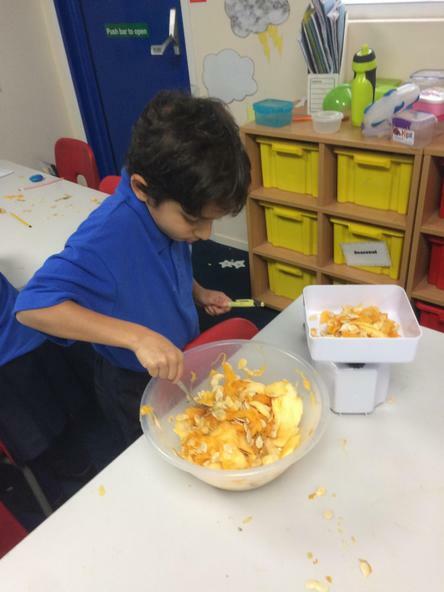 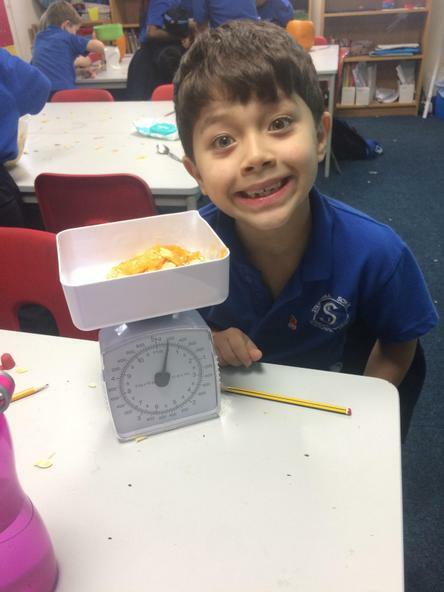 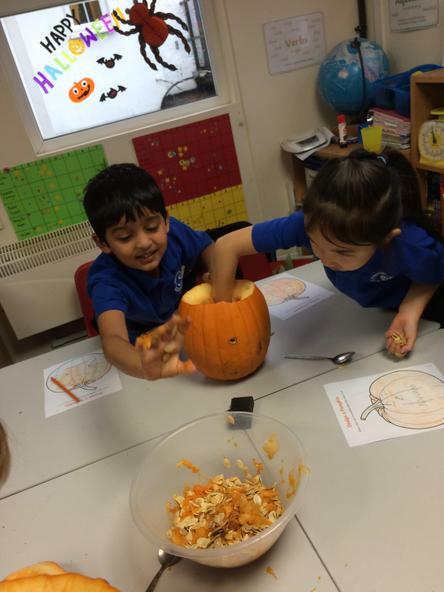 We then practised our Maths skills by accurately weighing out different amounts of pumpkin using kitchen scales. 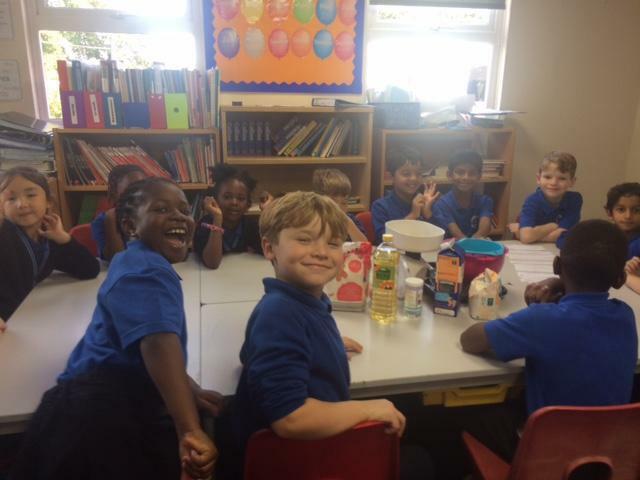 We all had a lot of fun! 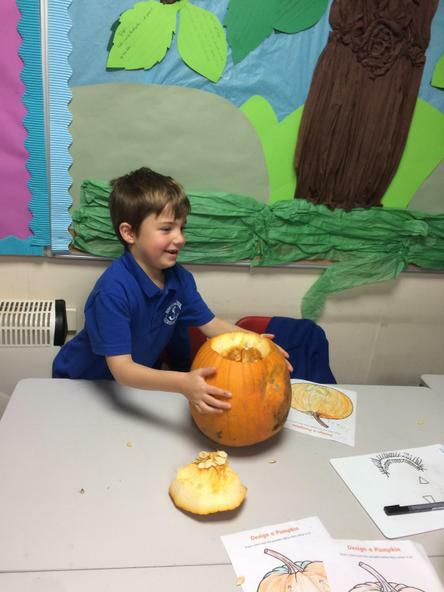 Our English this week has also been linked to Halloween. 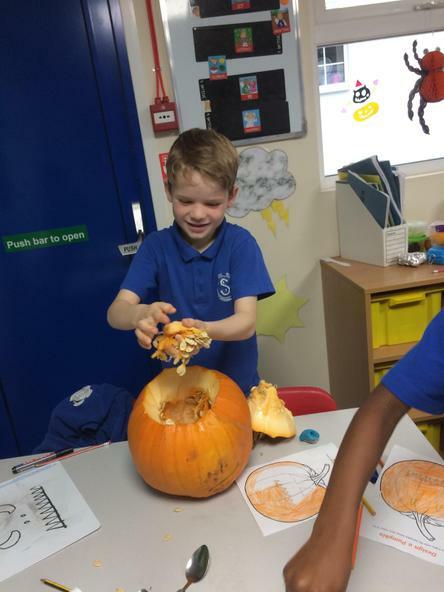 We have been using alliteration to create some spooky spells and writing alternative endings to a Halloween story. 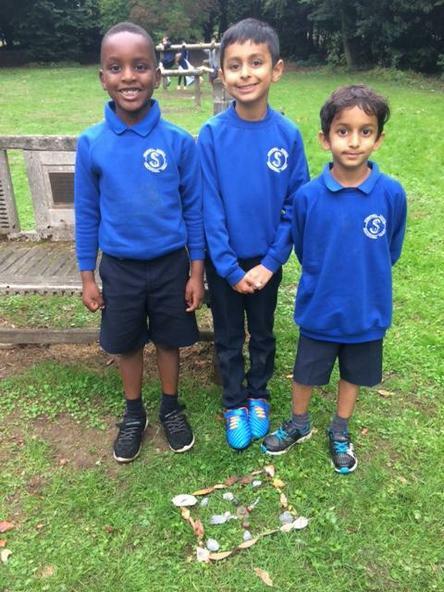 Next week we will start learning about another very important event, the story behind Bonfire Night and Guy Fawkes. 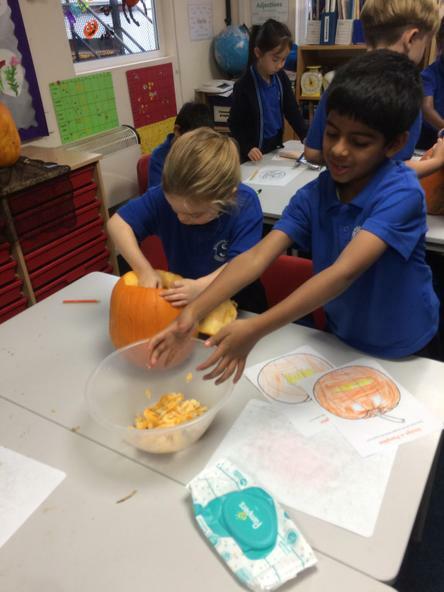 In Class II we loved learning about instructions. 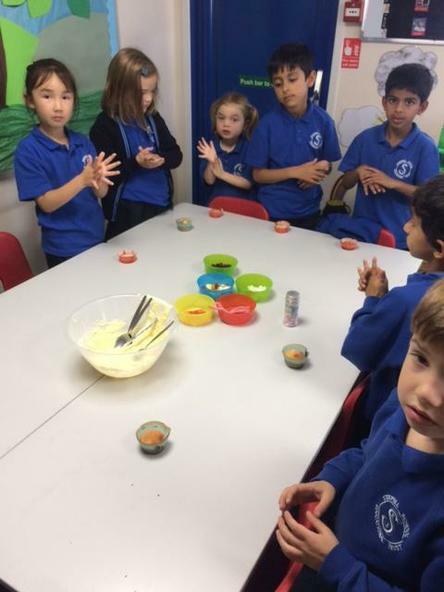 Throughout the week we completed many activities, building up to creating our own cupcakes! 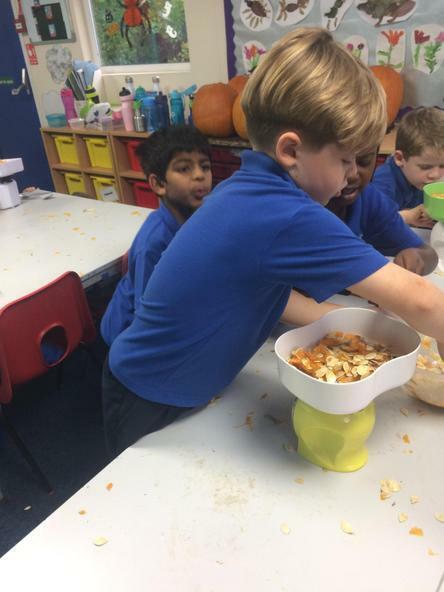 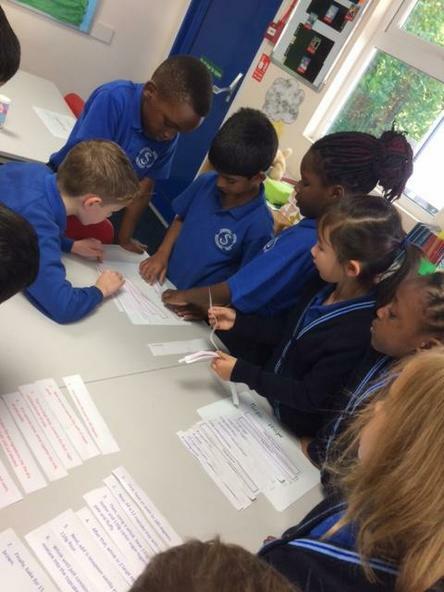 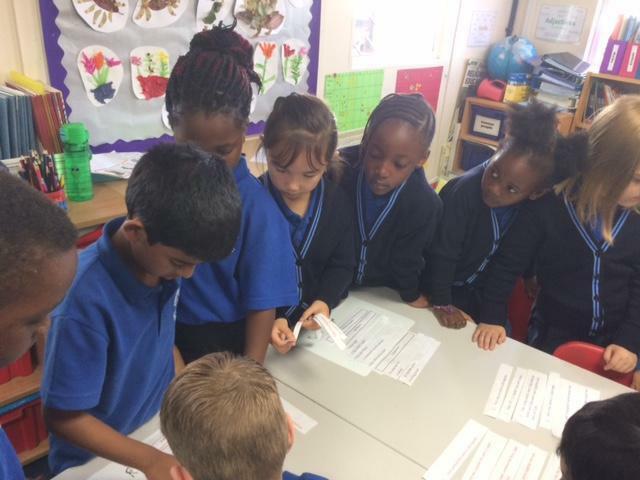 Children had to find all the ingredients and equipment around the room and then put the steps of the instructions together in the right order. 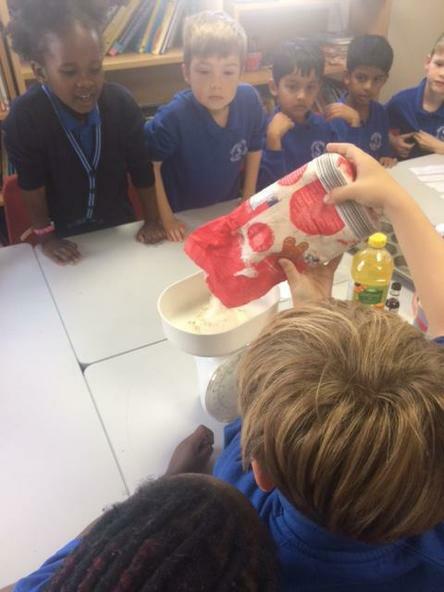 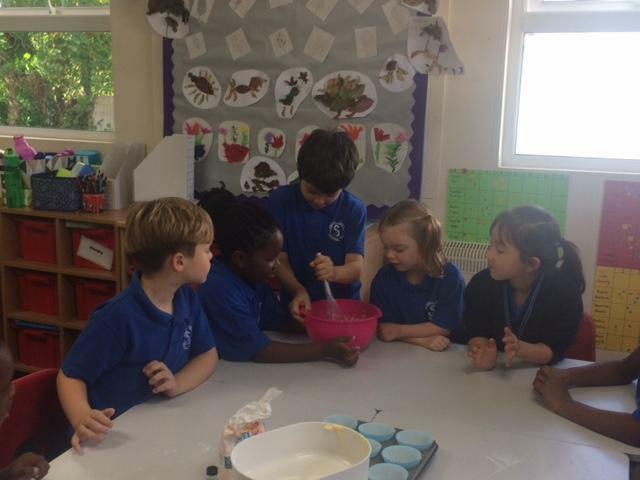 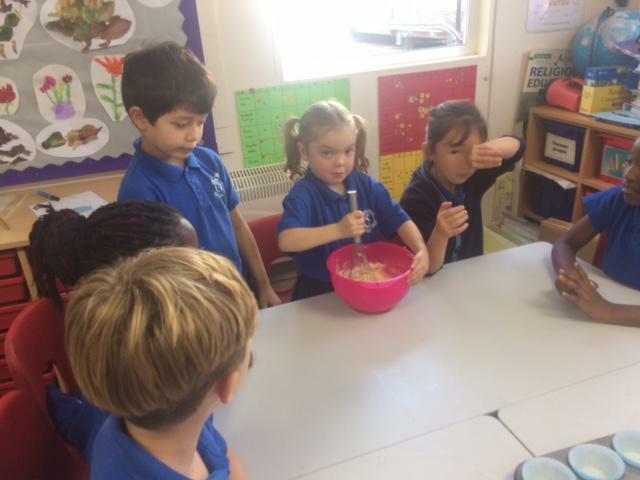 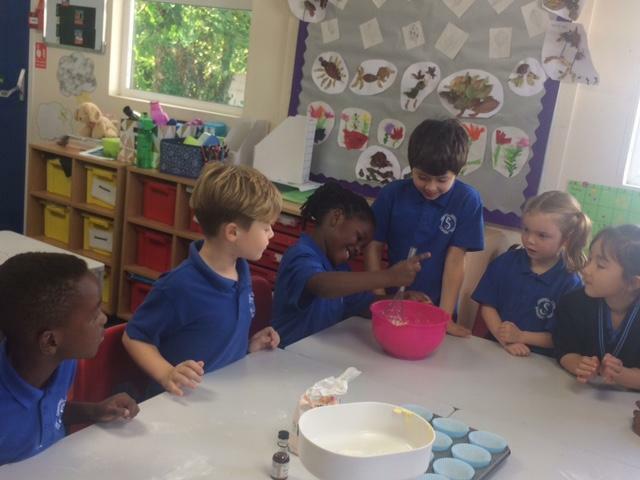 All the children had a go at reading the instructions, weighing the ingredients and mixing them all together. 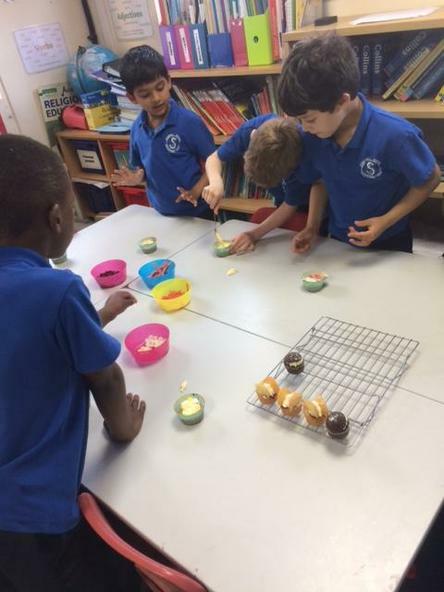 In the afternoon we enjoyed decorating our cupcakes. 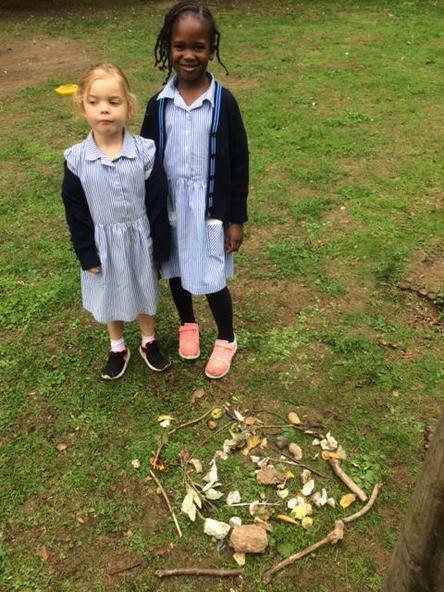 The Lower School were lucky enough to get a visit from Crusty and Tiny before they went into hibernation. 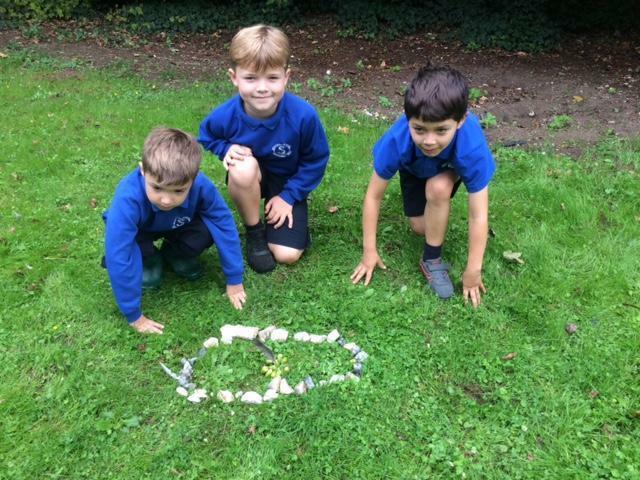 The tortoises came to visit us in Class II. 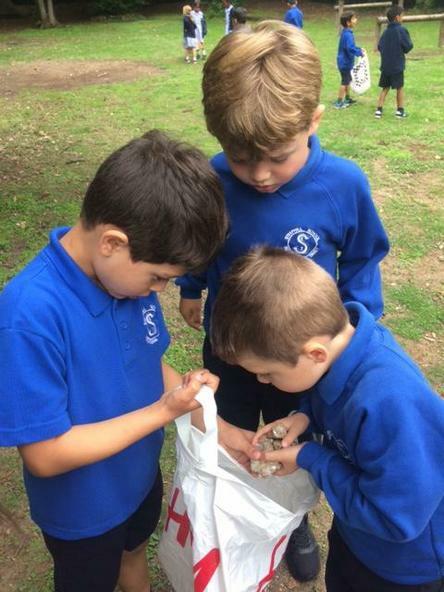 All the children had a go at feeding the lovely tortoises. 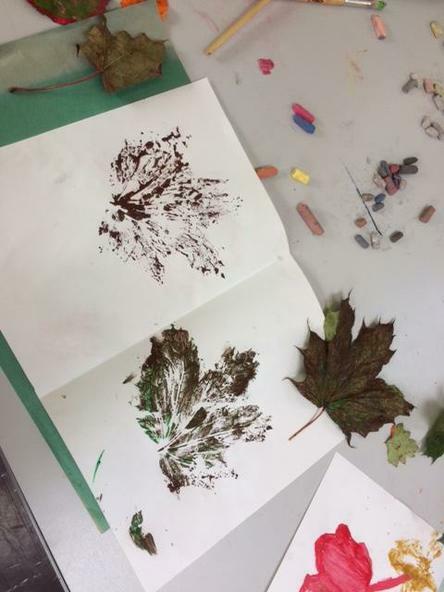 We have been exploring line, shape, colour and texture in natural forms. 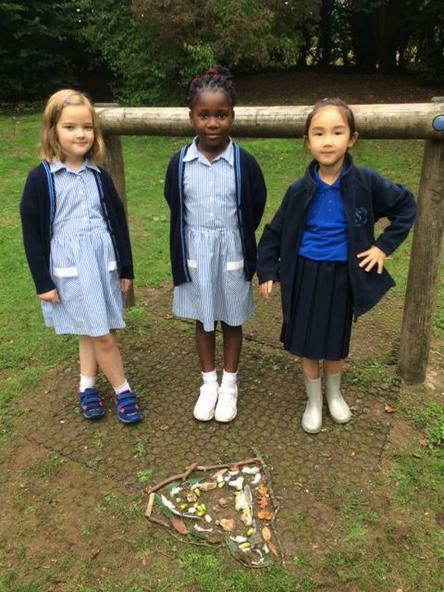 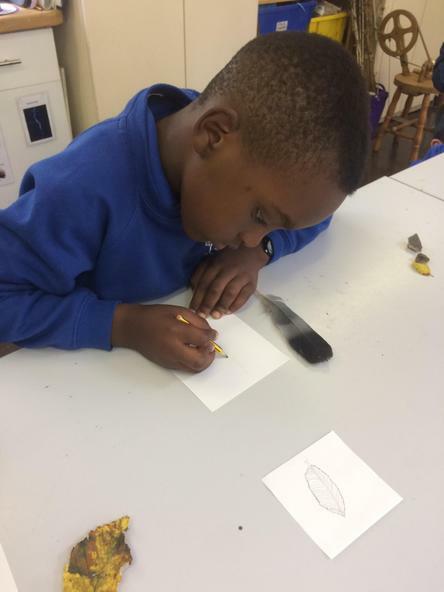 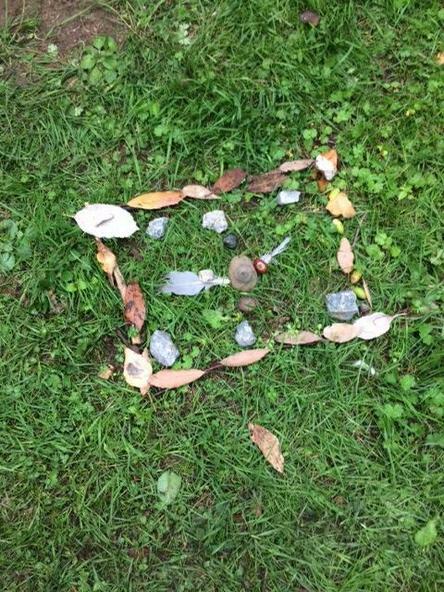 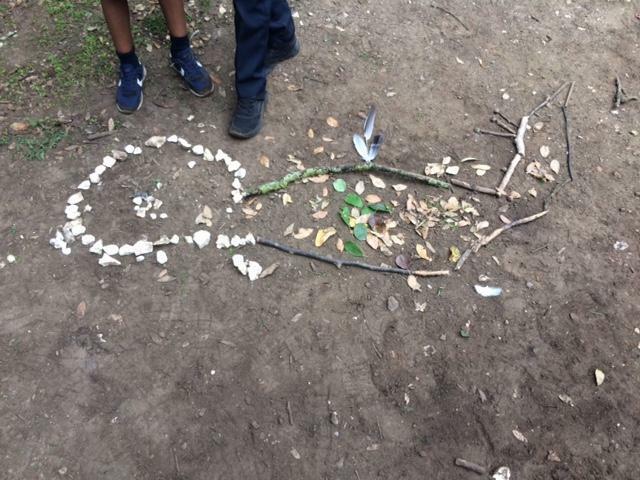 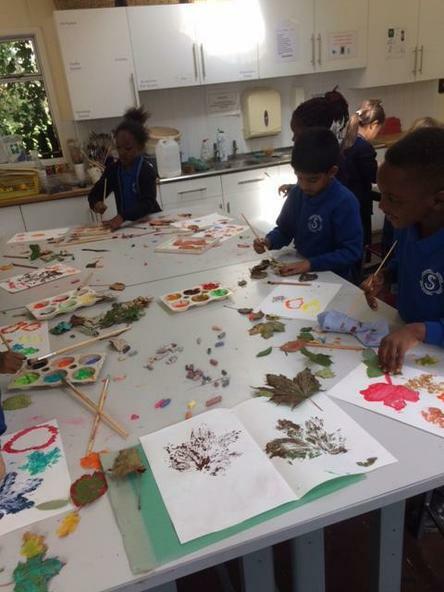 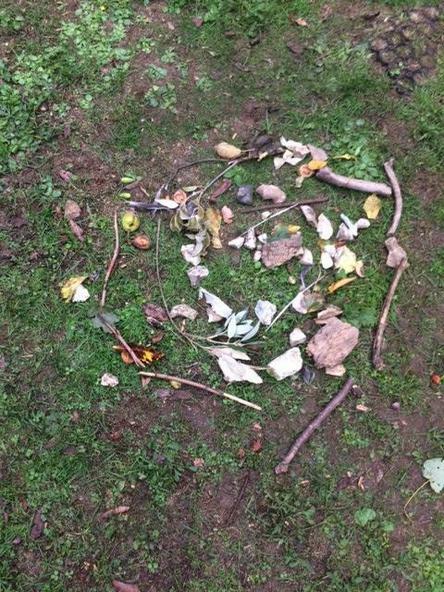 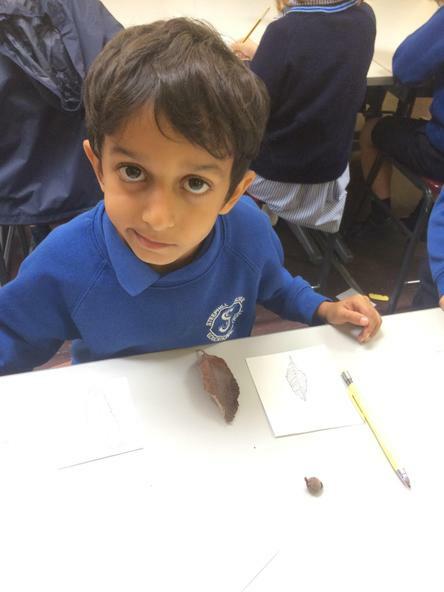 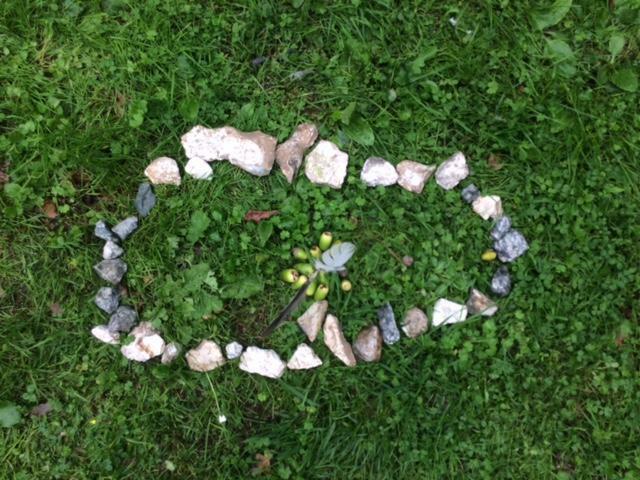 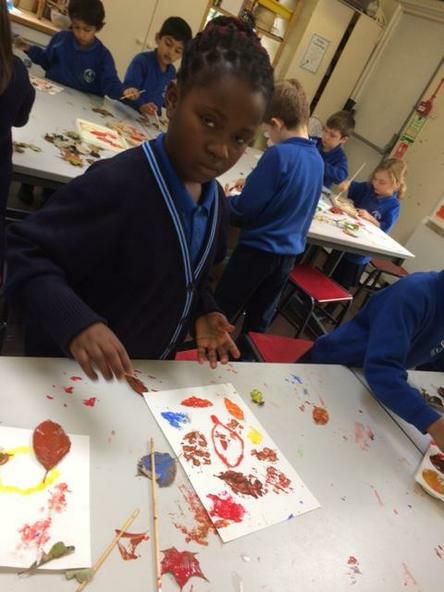 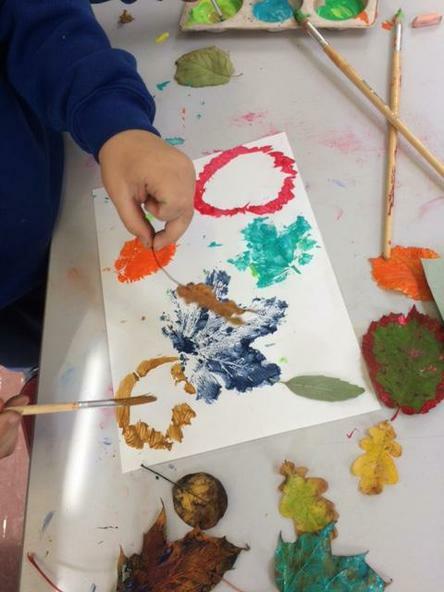 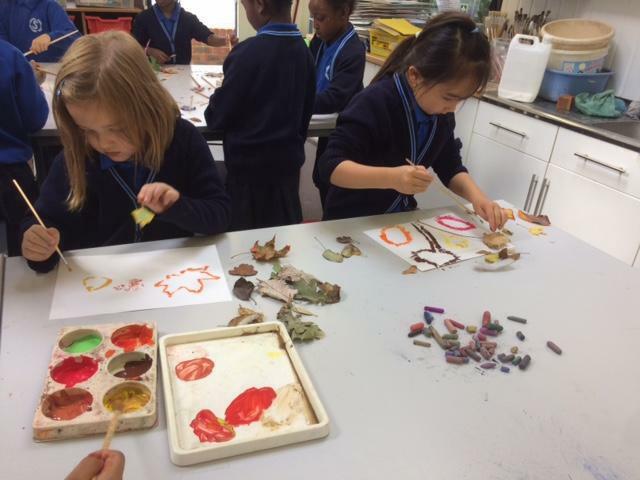 We have created art using and based on natural objects such as sticks, stones, flowers and other natural objects. 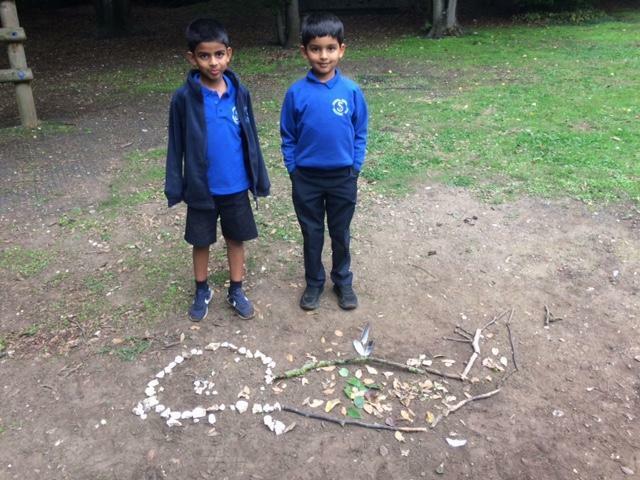 We started the topic by looking at Andy Goldsworthy who produces natural sculptures and land art. 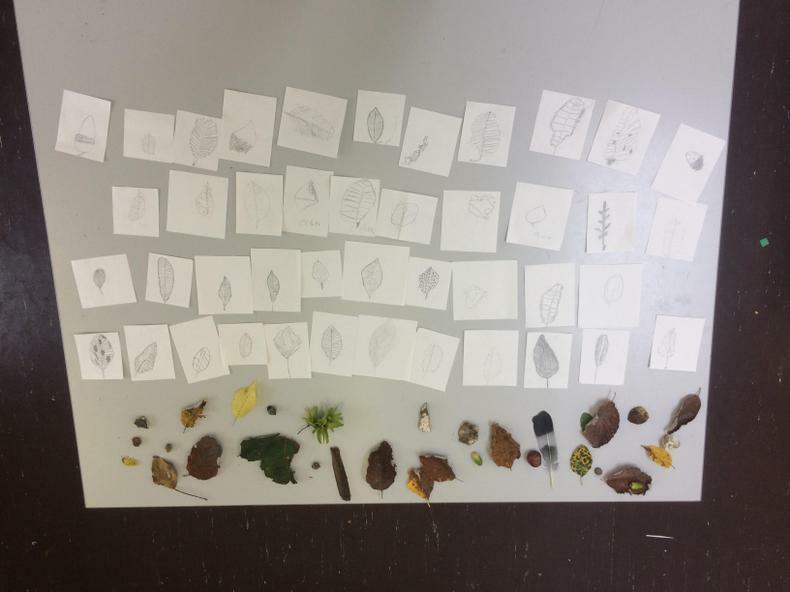 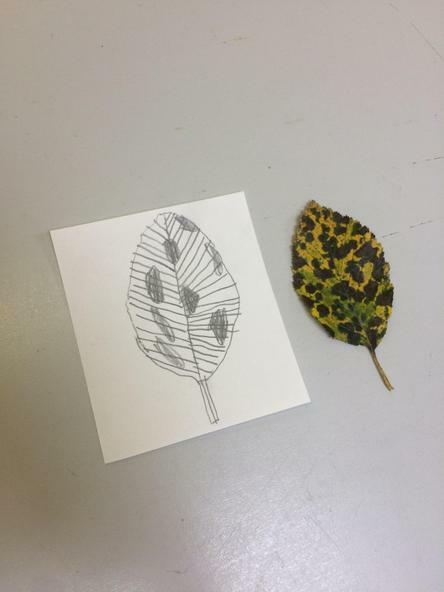 We then went on to create observational drawings, collages, leaf painting and printing. 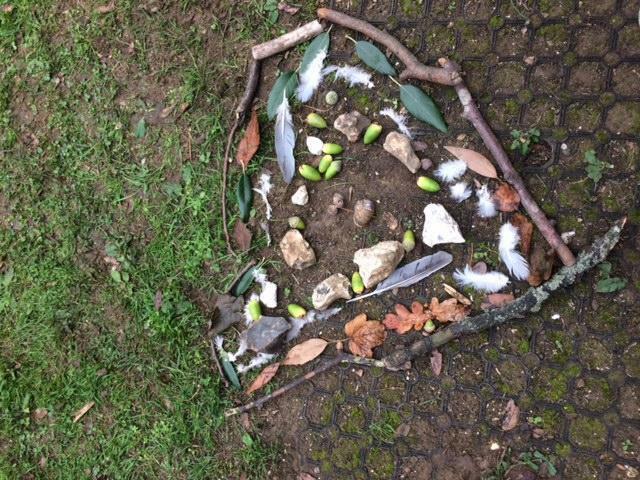 Here are some pictures of our creations. 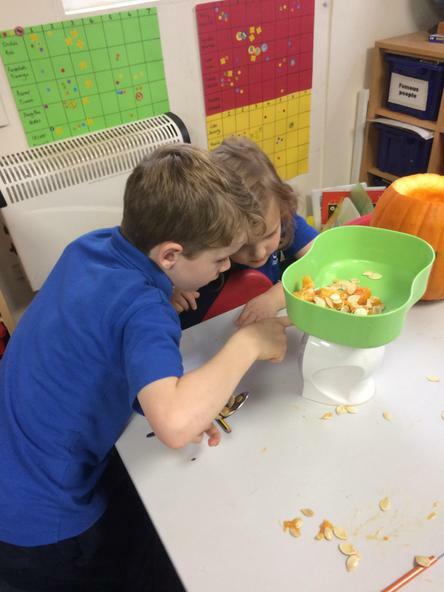 This week in Maths we have been testing out our estimation skills. 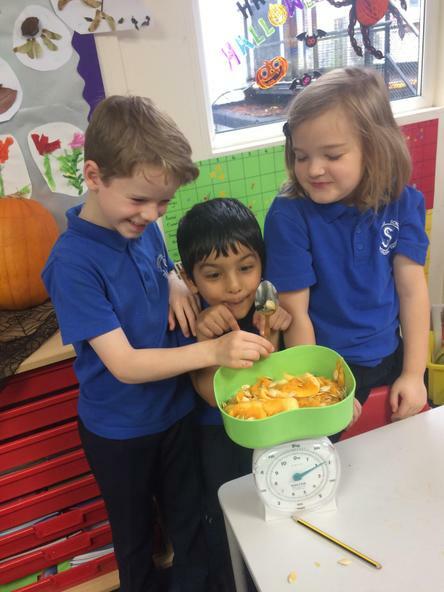 Children carried out a practical activity by putting some pasta into a bowl and then estimating how many pieces of pasta they had. 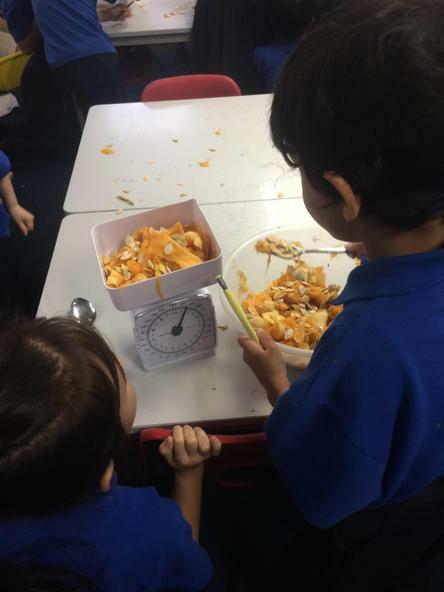 After children had estimated how many pieces of pasta they had they then counted the pasta. 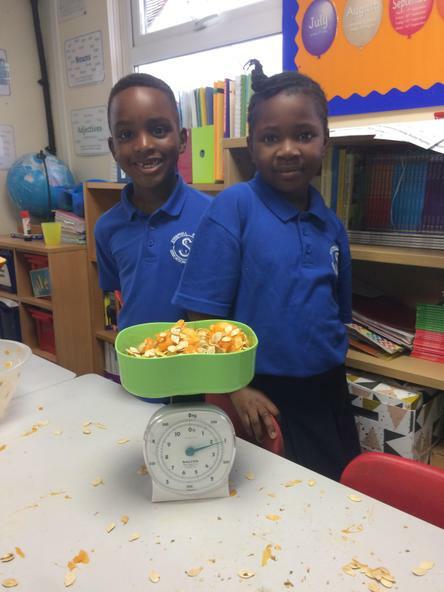 So that children didn't lose track of how many pieces of pasta they had, they counted them in groups of 10 when using larger amounts.